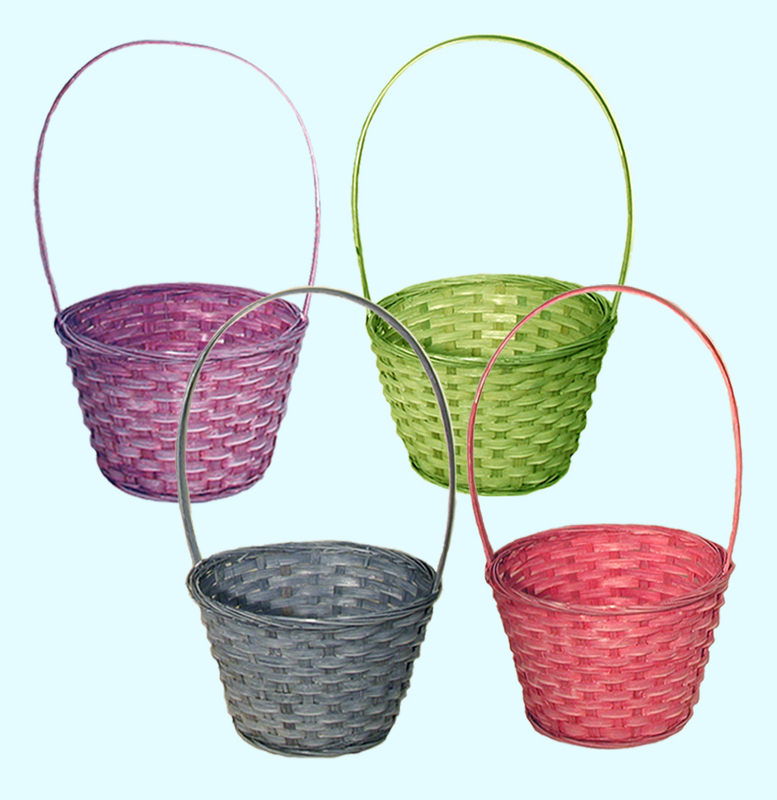 This Handle Basket comes in assorted colors. It measures 7" in diameter, 16" tall measured to the handle, 5.5" tall without the handle. This is a great basket for the Spring and Easter.